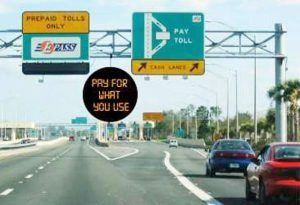 Under the New Toll Policy, people will pay toll only for the stretch they travel and not for the entire corridor between two existing toll plazas. NEW DELHI: The government has started work to revamp the Toll Policy for national highways, primarily focusing on a new regime of making people pay the toll or user fee only for the stretch they travel and not for the entire corridor between two existing toll plazas, which is the practice now. The policy, which will be ready in three month, will also focus on building toll plazas outside cities to avoid protests and to set a time frame to end tolling on highways which are less than four-lane and expressways. Highways ministry sources said the policy will be dynamic and will focus on pushing electronic mode of collecting user fee by setting up necessary facilities and offering permanent discount in the fee that commuters pay using smart tag. According to tolling experts, congestion at toll plazas won’t end unless 70% to 80% of vehicles opt for paying the fee through electronic mode. The highways ministry’s move is in line with this year’s budget announcement. In his budget speech, finance minister Arun Jaitley had said, “The government will come out with a policy to introduce toll system on ‘pay as you use’.” This is also known as closed tolling system, which has been implemented in the case of Eastern Peripheral Expressway and the same will be the norm for the Western Peripheral Expressway. Both the expressways have been built around Delhi and these have limited entry and exit points. “While it’s easy to implement in the case of new greenfield roads, it would be tough in the case of existing roads which have unlimited entry and exit points and these are not regulated,” said a ministry official. Currently, toll plazas are built at a distance of 60 kilometers and so even if a person travel only 20-30 kilomters, he has to pay the user fee for the entire stretch. Officials also admitted that the the stated policy of not building a toll plaza within 10 km of municipal limit is also becoming a major contentious issue as municipal areas area growing.